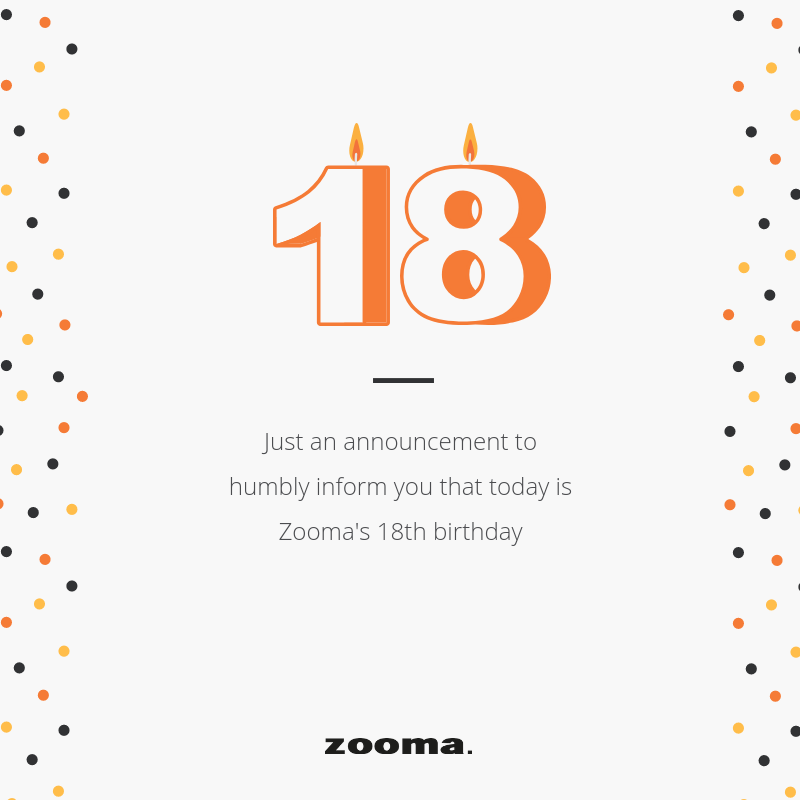 This is an announcement to humbly inform you that today Zooma comes of age and celebrates our 18th birthday. We celebrate our first eighteen years serving our friends through donating SEK 1 000 per employee to Barncancerfonden! Please feel free to congratulate us in any way you like, but the best birthday present for all zoomers is if you donate an amount to Barcancerfonden, to help them with their aim of eradicating childhood cancer. We're proud to gain trust in helping our friends to use online and digital as a natural part of doing business and to achieve tangible results. Thank you, friends!